I had a request for a smaller polka dotted label so here it is a FREE download. 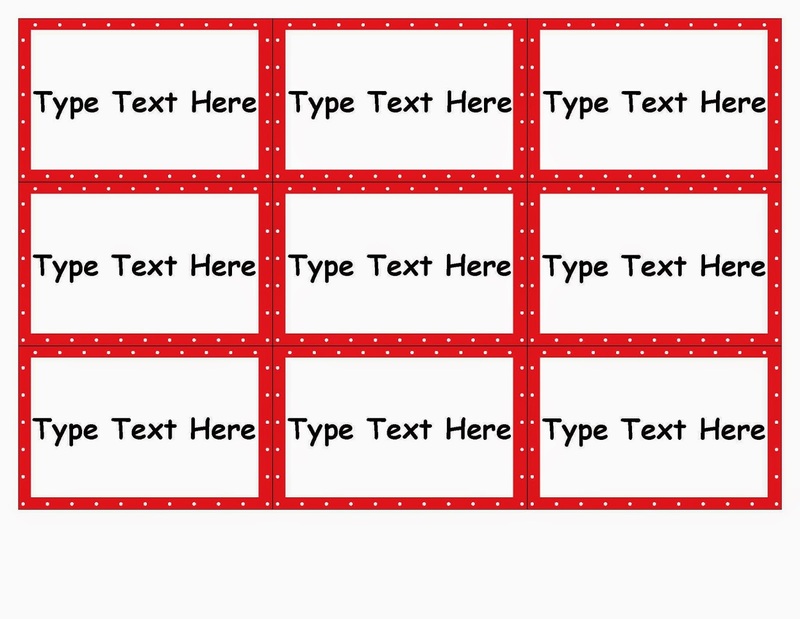 I am offering a set of (11) editable different colored polka dotted frames for you to use in your classroom. Keep reading for more information. 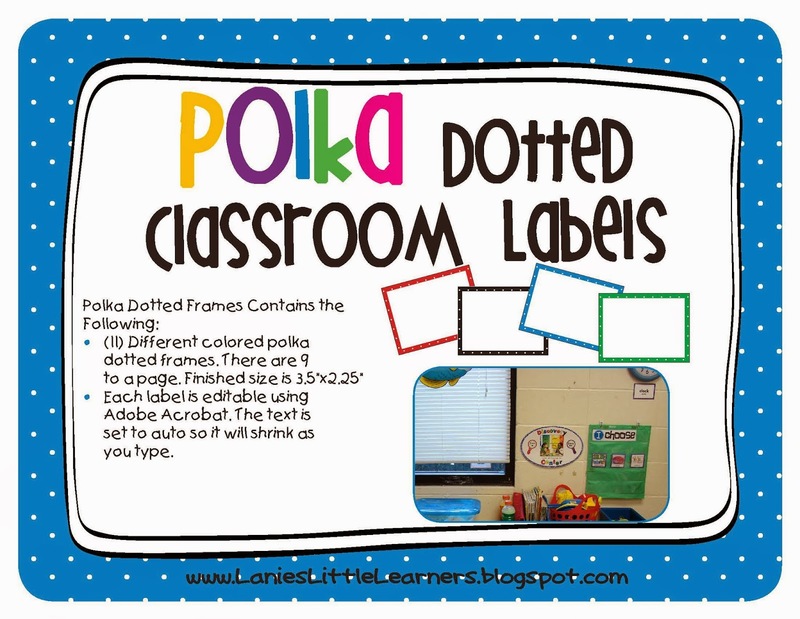 Polka Dotted Classroom Labels are a set of brightly colored polka dotted frames to use in your classroom for personal use only! (11) Different colored polka dotted frames. There are nine to a page. Finished size is 3.5" x 2.25"
Each label is editable using Adobe Acrobat. The text is set to auto so it will shrink as you type.